Police are searching for the driver who injured a woman outside TikiTaco early Sunday morning. KANSAS CITY, Mo. 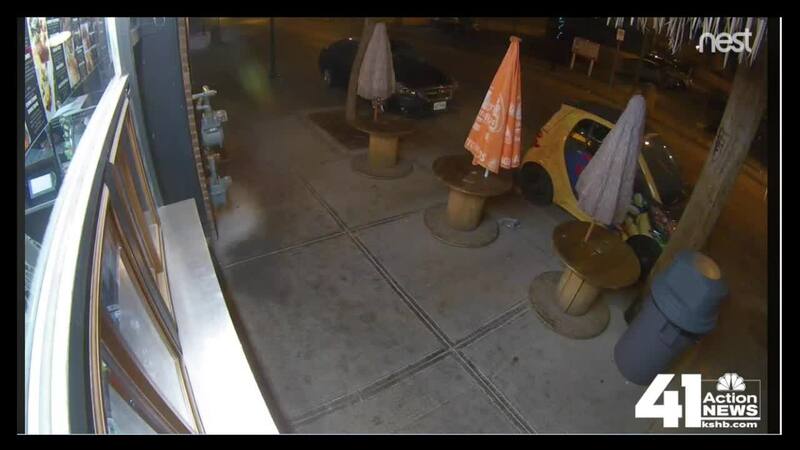 — Police are searching for the driver who injured a woman outside Tiki Taco early Sunday morning. According to a police report, the car struck the woman Sunday just after 3 a.m. The victim, Kaitlynn Conner, suffered spinal injuries and faces months of physical therapy. In an interview with 41 Action News on Monday, Conner said she was making the last food delivery of her shift at Tiki Taco when she saw a black Chevrolet swerve toward her. "Then I see him swerving, moving his wheel toward me, so I tried hopping up on her [the customer's] hood, it was too late though," Conner said. The police report states the impact threw Conner eight to 10 feet from where she was standing. 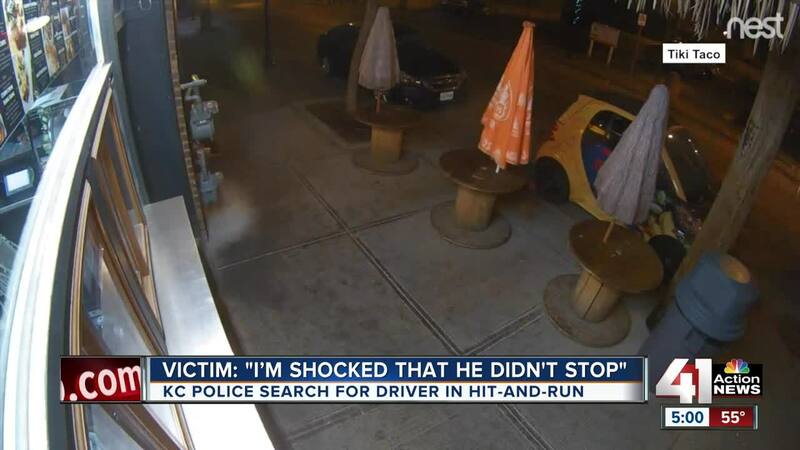 A witness told 41 Action News the restaurant's car prevented Conner from going even further. "As soon as I realized what was happening, I tried moving my feet and my toes and my fingers just to make sure everything was OK," Conner said. The driver, who Conner believes was under the influence, kept going west on 39th Street. "I’m shocked that he didn't stop because what if I did die?" Conner said. Conner suffered four fractured vertebrae and faces months of physical therapy to regain her strength for basic activities. "Getting dressed, getting out of bed--not learn them--but it's very painful to move my back," Conner said. Conner was released from the hospital Monday afternoon. Her friends established a GoFundMe account campaign to help with medical expenses and lost wages as she recovers. She now simply wants the driver of the dark sedan caught. "I'm upset he is getting away with it right now," Conner said. Conner believes the car that struck her is a Chevrolet Impala or Malibu. It will have front end damage on the passenger side. If you spot it or know anything about this hit-and-run call KCPD or the KC Crimestoppers Hotline at 816-474-TIPS (8477).